Breeders’ Cup Presents Connections: Will Stars Align For Another Filly In Queen’s Plate? Catherine Day Phillips traveled across the globe to find her way back home. Canadian born and bred, Day Phillips now trains a string of 25 Thoroughbreds at Woodbine, and will saddle the filly Dixie Moon, winner of the Woobine Oaks, in Saturday's $1 million Queen's Plate. Dixie Moon, a homebred for Sean and Dorothy Fitzhenry, is actually the daughter of the first horse Day Phillips trained for the couple. Another homebred named Dixie Chicken, the Rahy mare earned $200,000 in her 22-race career. Day Phillips herself is a third-generation horsewoman. Her grandmother was an owner and breeder in Canada, and both of her parents were trainers. Father James Day was also an Olympic Gold Medalist, helping Canada win team gold in the 1968 show jumping competition. Saturday will also mark the 30-year anniversary of the Day-trained Regal Intention's win in the first jewel of the Canadian Triple Crown. He would go on to saddle the winners of the next two legs of the Triple Crown that year, completing the sweep with three different horses. In those days, Day Phillips was working alongside her father, galloping during the early years of Ernie Samuel's Sam-Son Farm. Her mother had passed away when she was just 15 years old, so Day Phillips spent summers with her father at Woodbine. She had grown up competing in the show ring, but found her passion extended to the racing side of the family as well. Day Phillips went to college in New York, graduating in 1989, but she wasn't yet sure what she wanted to do with her life. 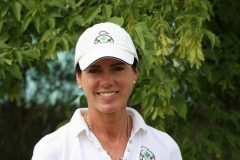 It was in Singapore that Day Phillips rekindled her love of horses, riding on the show jumping team and in amateur races. She learned a little about polo ponies in her two years in Singapore as well, which would later lead her to her husband. When her grandmother fell ill, Day Phillips returned to Canada. Her father talked her into taking a horse to Ocala to train for the winter, and her grandmother ended up sending a horse as well. In all, Day Phillips brought four horses to Ocala, taking the trainer's license testing at Tampa Bay Downs in early 1994. Returning to Woodbine, Day Phillips opened her own stable. Gentleman Artist, one of those Ocala four, was her first winner later that year, and her first stakes horse was a homebred of her grandmother's in 1998. A Bit O'Gold put Day Phillips on the map in the early 2000's. She selected the horse on behalf of a syndicate organized by her husband, paying what amounted to the most she'd ever spent on a young Thoroughbred: $38,642. An ill-fated trip to the Breeders' Cup Classic prematurely ended A Bit O'Gold's career but not before the horse had compiled over $1.8 million in earnings, winning multiple graded stakes. The gelding now lives in a paddock just outside Day Phillips' kitchen window, alongside Jambalaya, the horse she purchased for $2,500 as a yearling who went on to win the 2007 G1 Arlington Million. Day Phillips has started 3-year-olds in Canada's biggest race several times, with A Bit O'Gold the closest in second, missing by just three-quarters of a length. She saddled Dixie Moon's half-brother, Guy Caballero, to a win in the Plate Trial last year, and the year before that, Neshama gave her a first Woodbine Oaks triumph. Fillies have historically done well in the Queen's Plate, including last year's winner Holy Helena, and Dixie Moon is the third choice on the morning line at 4-1. Neshama did not go on to the Plate because she wasn't as big or as strong as Dixie Moon, Day Phillips explained, but Dixie Moon has beaten the boys before on the turf and will look to do it again on Saturday. Day Phillips will sent Dixie Moon out of her father's old barn at Woodbine, and the 30-year anniversary of his Queen's Plate win could have the stars aligning for the 3-year-old daughter of Curlin. This entry was posted in Connections, NL Article, People and tagged Breeders' Cup presents Connections, catherine day phillips, Chelsea Hackbarth, Connections, dixie moon, queen's plate, woodbine racetrack by Chelsea Hackbarth. Bookmark the permalink.